In the past, gambling occurred at casinos and poker halls nationwide. However, times always seem to change. While people loved to visit places to gamble in the past, future trends seem to be in casino gaming online. This allows people to gamble from the comfort of their homes. Europe, Australia, and Canada have had online gaming for a while. The United States, on the other hand, is still a relatively untapped market. Currently, only a handful of states allow online gambling. But, the prediction is that online gambling will be big business in the near future. And, that is why gambling businesses around the world see the U.S. as a huge potential market for online gambling. Currently, online gambling is only available in four states. Online gambling has been legal in Nevada since the early 2000s, although the emphasis has been on poker. Online gambling has been legal in New Jersey since 2011. 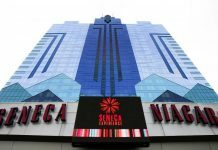 At first, New Jersey residents could only gamble online if they were at the casinos in Atlantic City. 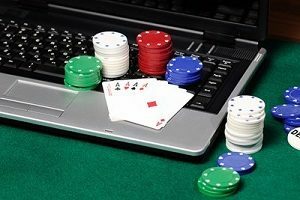 Now, however, the state allows gambling from any computer in New Jersey. Online gambling is also legal in Delaware and Pennsylvania. 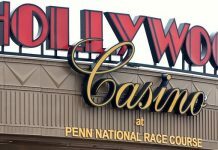 Pennsylvania allows online gambling with casino games and allows online betting on sportsbooks as well. Researchers have estimated that the potential online gambling market in the U.S. could be as large as $125 billion. But, it depends on a few factors. The amount of revenue depends on how many states approve online gambling. It also depends on how long it takes them to approve it. Revenue also depends on how many states not only approve sports gaming but also approve online sports gaming. The potential for online gaming has also changed. First, online casino gaming is increasingly changing to meet the needs of its customers. Some customers really want to play traditional casino or poker games, as well as bet on sporting events. Other customers want something different. Casinos have been experimenting with slot machines with more graphics and sound effects. Some innovations called for by casinos have been for slots that incorporate popular television shows, such as Friends and Seinfeld. 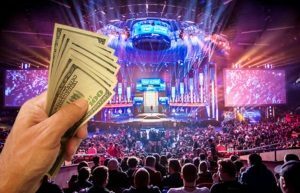 There have also been conversations with European entrepreneurs about the merging of competitive eSports gambling. This involves multiplayer competitive games. Viewers can bet on eSports games while the players participate and cheer on their favorites. Many European and Canadian gaming companies feel eSports are the wave of the future for online gambling in the U.S. The country already has a sports-loving population in place. Millennials, who have spent their entire lives gaming, are also fond of eSports and eSports betting. There may be regulations because of loot boxes, but many companies also believe video games will be like online gambling. Gaming has been moving toward casino gambling because of in-app purchases and levels that players can buy. You can see this in games, such as Candy Crush and Farmville. These games don’t offer loot boxes, but they do offer boosters that help gamers reach the next level. It would not be difficult at all to introduce gambling opportunities in the middle of games, such as Candy Crush. Gambling companies have also been looking closely at the ways they can move around the gaming regulations in some states. For example, many states do not have online gambling regulations. And, for that reason, they might allow online gaming. For example, in Tennessee, the state regulates some gambling and it is not legal. But, there are other forms of gaming the state doesn’t mention, such as online gaming. This means companies will want to take advantage of the gaming frontier before the laws go into effect.